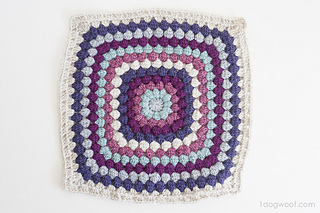 This Square was designed for THE BLOG HOP CROCHET ALONG, Day Three. Lion Brand yarn has sponsored this event. 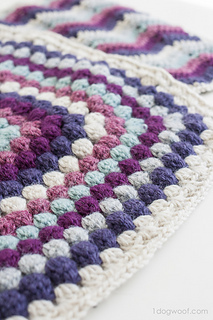 By the end of the Crochet Along you will have twenty 12″ squares all ready to be pieced together into a beautiful afghan just in time for the holiday season! This pattern gets pretty repetitive quickly, so I’m writing the pattern as a general guideline and not as a stitch by stitch. And since I’m changing colors every round, I am ending every round with an invisible join.